"What would you consider to be the most important factor when purchasing an oil filter: pore size, flow rate, differential pressure, etc.?" Selecting an oil filter can be challenging. With so many options on the market and a wide range of prices, it can be difficult to know which filter is right for you. Filter manufacturers love to use buzzwords like dirt-holding capacity, long lasting, capture efficacy, high performance, high flow and high horsepower, but in the end filter selection should be based on what matters most to you. Some people focus strictly on price and are willing to sacrifice equipment longevity. This is fine for those who will own their vehicle for only a short period of time or plan to trade it in once it reaches a certain number of miles. For others who want to achieve the most life out of their equipment, factors such as the filter media, beta ratio and micron size should be considered. 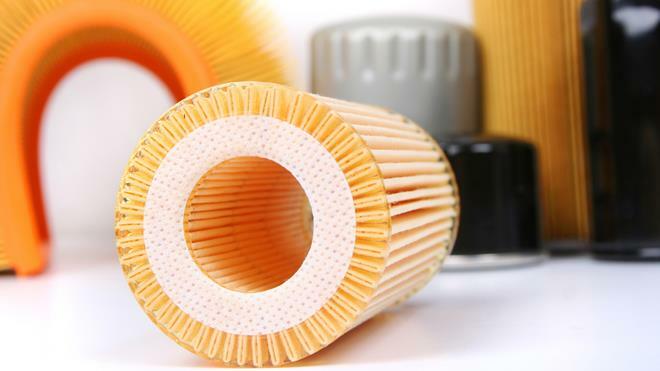 Whether visiting an auto-parts store or selecting from a local filter vendor, consumers should be well-informed of the options available to them as well as the pros and cons of the various filter types. For industrial equipment, many filter manufacturers test their products and report the results. This reporting would include an absolute rating or where the filter achieves a beta ratio of 75. Others might list a filter at a specified micron level. These are known as nominal filters. However, this does not explain to the user how the filter will perform once it is installed. Often there is a considerable difference in cost between a filter that performs well and one that performs poorly. To choose the right filter, first consider the application and the fluid on which the filter will be used. For systems that require a cleaner lubricant, like turbines and hydraulics, a better filter should be sought. For example, the type of filter you would see specified for a hydraulic system might be a 4-micron filter with a beta ratio of 2,000. This means the filter can remove 99.95 percent of 4-micron particles. While there are numerous filters on the market, keep in mind that they may excel differently in their own way. Determine the most important factors for your application and talk with your vendors to see how they can help or what they may be able to offer.